What is the current preschool landscape in Cincinnati? What are the perspectives of key stakeholders in Cincinnati regarding the current preschool landscape and options for future investment in preschool access and quality? What preschool initiatives have been implemented in other cities and states most relevant for Cincinnati? What are the costs and benefits of policy options for improving access to high-quality preschool in Cincinnati? Cincinnati, Ohio, is considering a locally driven, expanded investment in high-quality preschool. Local policymakers and the public recognize that current federal and state funds that subsidize preschool are not sufficient to allow all income-eligible children to attend. City-led initiatives are thus designed to fill the funding gap. The Cincinnati Preschool Promise seeks to improve school readiness by expanding public funding for high-quality preschool programs that public and private providers deliver, especially for lower-income children. In partnership with Cincinnati's education, philanthropic, and business communities, the Preschool Promise determined that embarking on a path toward an expanded investment in high-quality preschool requires careful consideration of the underlying need for high-quality early learning opportunities; the supply of and capacity to expand spaces in high-quality early learning programs; existing public and private resources in the community to plan for, finance, and deliver a high-quality early learning system; and the various design options for expanding access to quality programs. Within this context, the goal of this report is to document the results of an interrelated set of research activities designed to document current access to high-quality preschool programs in Cincinnati for three- and four-year-olds and to examine the costs and benefits of policy options for making publicly funded, high-quality early learning programs more widely available on a targeted or universal basis. The supply of school- and center-based slots for preschool-age children can likely meet demand, but more needs to be done to increase quality. Two in three preschool-age children in Cincinnati qualify for state or federal preschool subsidies. Public subsidies tied to quality are insufficient to reach all income-eligible children with high-quality preschool programs. Stakeholders agreed with the need to expand access and improve quality. Most of the city preschool initiatives reviewed serve four-year-olds, typically on a universal basis, but expanded subsidies may be rolled out over time starting with low-income children. All nine cities have adopted mixed-delivery models, with both public and private providers delivering programs. Most cities subsidize school-day, school-year preschool programs; other features to achieve high quality are established either through standards or by requiring a high rating on the state quality rating and improvement system. Each city-funded preschool program has a locally controlled funding stream to cover its costs, in addition to leveraging existing federal and state subsidies. Infrastructure elements include governance, data systems, quality improvement supports and resources for workforce professional development, investment funds for facilities, and transportation services. Financial modeling highlights the range of investments that can be made, but the quality gap is a constraint in the near term. A positive economic return would be expected from investing in expanded preschool access and quality under both targeted and universal approaches. Focus on investing in the quality of Cincinnati preschool programs. Align expansion of funding for preschool to the availability of high-quality seats. Address challenges of blending and braiding funding streams. Align preschool programs with kindergarten to third grade. 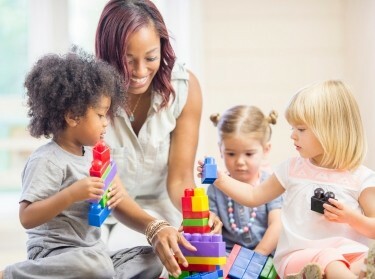 Monitor and evaluate current and new preschool investments. Lynn A. Karoly, Anamarie A. Whitaker, et al. The research described in this report was prepared for Cincinnati Business Committee and United Way of Greater Cincinnati and conducted by RAND Education and RAND Labor and Population. 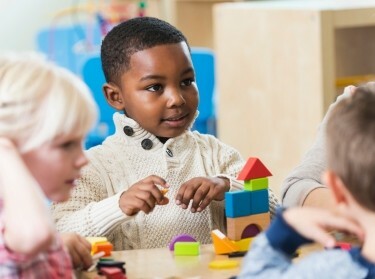 Karoly, Lynn A., Anamarie A. Whitaker, Courtney Ann Kase, Robert C. McDaniel, and Eric W. Rademacher, Options for Investing in Access to High-Quality Preschool in Cincinnati. Santa Monica, CA: RAND Corporation, 2016. https://www.rand.org/pubs/research_reports/RR1615.html.